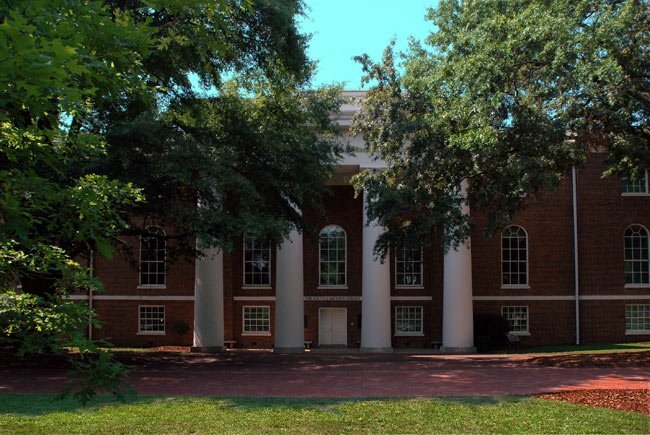 The South Caroliniana Library can be found on the USC Horseshoe in Columbia. It was built in 1840 and was the first freestanding college library in the nation. Today, the library houses special collections and USC’s archives. J. Rion McKissick, the school’s 19th president, is buried in front of the building. Do you know more about the history of this building? Please send it to us! I don’t know why I never checked out this website before. It is very interesting. If anyone knows anything about the Meriwether (sp?) family, who were involved so many years with the SCL, please write me at c.shaak [at] comcast.net. I am a ’51 graduate of USC. Thanks.